The University of Nottingham, Ningbo China (UNNC) has a particular interest in this year’s Paralympic Games, which got underway on Wednesday in Rio de Janiero, Brazil. 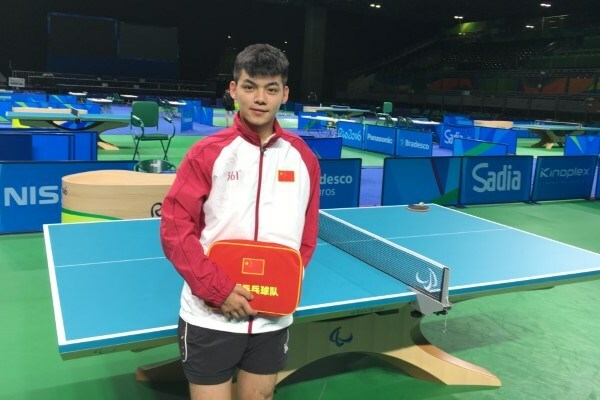 A member of the Chinese Paralympic table tennis team, Zhao Shuai, began studying English at UNNC earlier this year. Supported by awards from the Deng Yaping Sports Scholarship – which assists young sports people to gain an education at some of the world’s top universities – he came to UNNC to study on CELE-run courses aimed at improving English language proficiency. He will return to Ningbo to continue his studies later this year. Zhao Shuai is out to repeat his triumph at London 2012, where he took the gold medal. Speaking from the team’s camp in Rio, Zhao Shuai appeared eager with anticipation. “I am looking forward to the Games opening and seeing competitors from all over the world,” he said. “I am not nervous at all”. China has topped the medals table at each of the last three summer Paralympic Games.